KOOL KAR AUTO REPAIR: What Are YOU Breathing??? Many modern cars and light trucks are equipped from the factory with a Cabin Air Filter. This filter is designed to remove dust and other allergens from the air that is circulating inside your car. The result is a much healthier environment for you and your passengers. Just like any filter, over time, the cabin air filter becomes clogged with dust, pollen, and other debris. Replacing this filter is an easy maintenance item that can drastically improve the environment in your vehicle. Replacement of the cabin air filter is recommended every year. Stop by Kool Kar Auto Repair, in Azle Texas, today to have the cabin air filter replaced if it hasn't been replaced within the last year. Mike, you are exactly right. 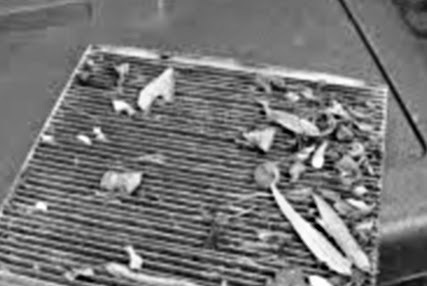 There are some contaminants you can not remove from your Cabin Air Filter such as tobacco smoke or certain air fresheners people put in their car to mask a smell. Because the oil content in these products remain in the filter. So changing your Cabin Filter every 15,000 miles makes everyone breath a little easier.